After graduating in architecture in 1969, Stuart was torn between his two passions of designing environmentally sensitive buildings and being a full time artist. He was greatly influenced by many of his art teachers at University of Sydney including Lloyd Rees and Guy Warren. He taught freehand drawing under Lloyd Rees from 1969 to 1974. In 1975 he and his wife Christine started a small gallery on the outskirts of Sydney where he was able to pursue his art practice before being tempted back into architecture. He never stopped painting however, and took part in several group shows in Sydney. After moving to Moruya on the NSW South Coast full-time in 2000, Stuart participated in a group show at ‘The Priory’ in Bingie in 2001, and has had two exhibitions at the Mechanic’s Institute Gallery Moruya exploring both the coastal forests and the river environments of Moruya. 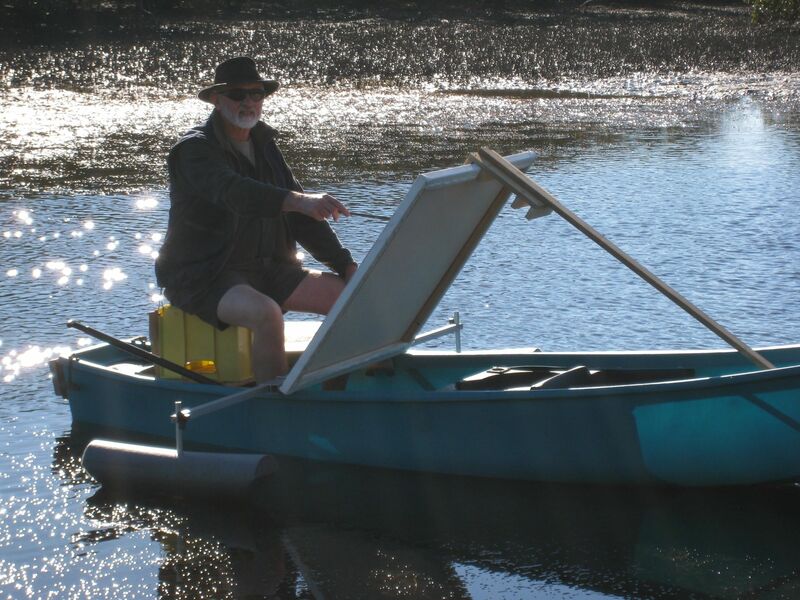 To understand the character of the river, Stuart used a canoe as a floating studio, and did several works on the water. 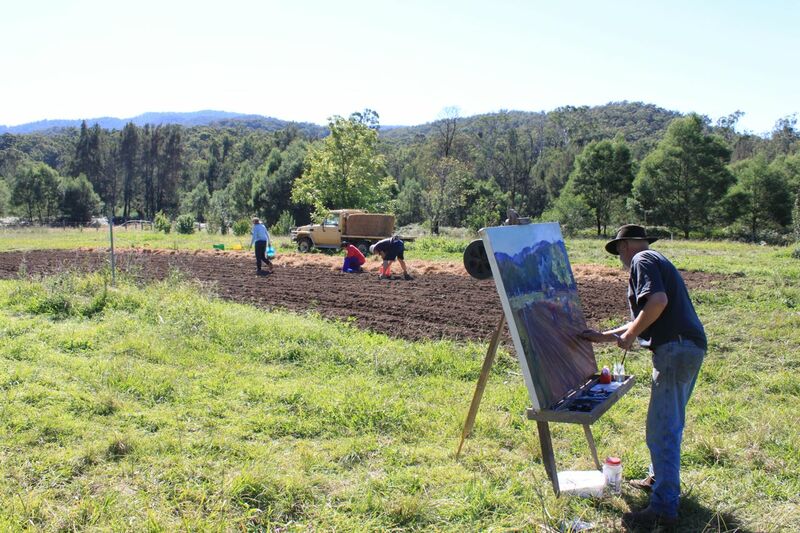 After many years painting in oils, Stuart has developed a painting medium which enables him to do large landscape works outdoors. He found that, as many artists before him, the experience of being enmeshed with your subject resulted in often unexpected and refreshing work. However, oils and even acrylic paint were too cumbersome. He stumbled upon his current medium while doing pastel life drawings, and saw that the combination of pastels with a clear acrylic medium gave the vibrancy, depth and, most importantly, the portability that he wanted for outdoor landscape painting. This method gives the same portability as watercolour, but with the ability to attempt large scale works outdoors. He built a rather “Heath Robinson” wheeled easel out of several old wooden easels that he had in the studio. He calls it “the Wheasel”. 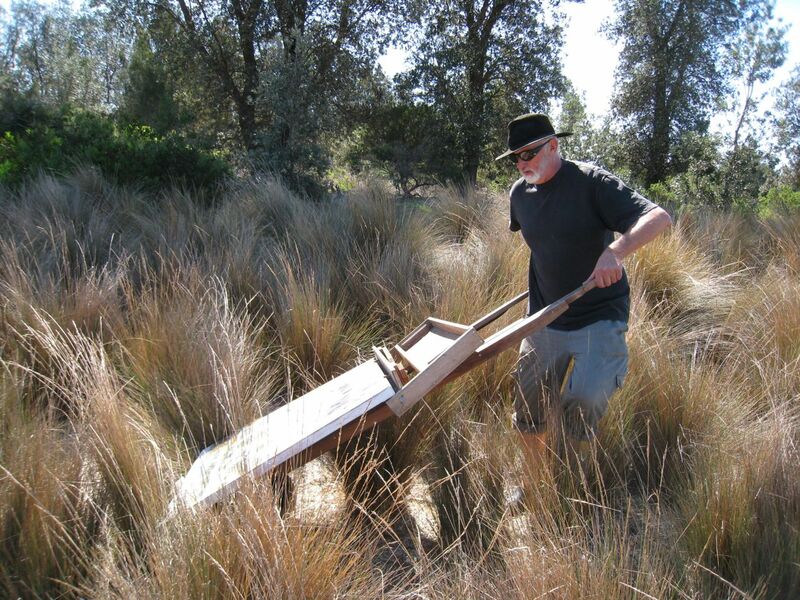 He can get his materials and quite large canvasses to most locations, and the weight of the contraption makes it quite stable even in windy coastal weather. Stuart finds that working rapidly on site for a short time period (usually 2 hours at most) over several days can convey a real sense of place and light in the work, and embodies the work with an energy and a vivid colour language that continually surprises. Here is a timelapse video of the first stage of a work from the 2012 exhibition ‘being there’. Interesting to know where the unique color quality & tones come from the combinations of the media. Beautiful. Go the Wheasel!! Loved your video, it’s great to see how artists work and how art comes to life. I am as fascinated as you by the time lapse. When I get into the process, I can’t remember how I got to the final result. Every time I confront a blank canvas it’s a scary moment of ‘I don’t actually know how to do this’. The ‘wheasel’ has taken me many kilometres through bush tracks. it is in need of a bit of repair after the latest efforts. Hi Stuart, Wendy and I met you guys at coffee in Paris last year. We are at Bermagui all this week and I was hoping to catch up to see your great work. Hey Stuart, ran across this site on a sleepless night, beautiful paintings, so glad that you are still painting and that Moruya has treated you well. Nice to see some of the Aussie landscape in your photos also. Fond memories of times spent out there.